My current assignment is to build an application using AngularJS to manage a SharePoint 2013 site. There is a lot of information out there about the different versions of Angular, I have a list of good videos in my Twitter feed. But I had to cobble together a lot of different information to get my working version. I wanted to document it here, early in the process, in hopes someone else will benefit from it. This is the "home page" for the single-page application, there are several html miles that will be swapped in as needed. It is called a single-page application because only a portion of the page is reloaded, the user will not see flickering and the entire page is loaded only once. The output looks like this, when there are no hashes in the URL. Hashes can be handled by AngularJS to imitate subfolders and querystrings. For example, "/Cigars.aspx#/Display/5" can be handled to show the Display page for the Item with an ID of 5. Note the <div> tag, with the attribute ng-app. That tells the page to use the modCigars module. The <div> tag inside of it has the ng-view attribute. That tells the page that AngularJS will prvoide the content to put in that <div> placeholder. Not that other than the script file references, this is all we have on the first page. If there is other information we want to show on all pages (like links), we would add it above or below the main <div> tag. This file contains the modCigars module. 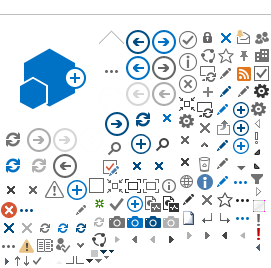 The function tag is at the top and botom, the individual components will be discussed separately. The Configuration component controls AngularJS behavior for the entire module. Here it uses the routeProvider class to determine which .html file is loaded. This gives us the single-page application capability. template: "<h2>This is not a valid selection.</h2>"
The Cigar Controller is used by Display.html and Edit.html to retrieve a single List Item from the Cigars list and display it on the page. Edit.html is used without an Item ID to create a new List Item. The Cigars Controller is used by List.html to retrieve a collection of List Items from the Cigars list and display it on the page. This snippet shows a List Item in display mode. This is how it is displayed on the page. This snippet shows a List Item in edit mode. This is how it is displayed on the page. A new List Item would have blank fields. I realize these are simple examples, and I may modify these files later. But I wanted a simple example for instructional purposes. I detail the CSOM code to talk to SharePoint on this page: SPDataServices.